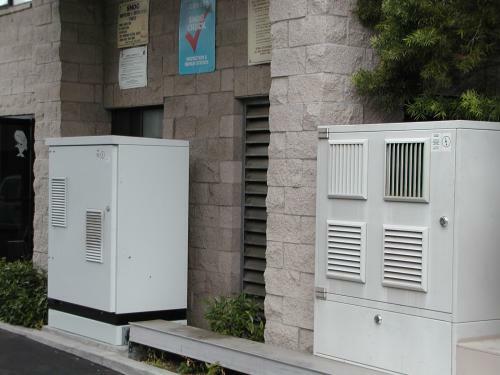 4400 Auto Plaza Drive, Capitola. Antenna appears to be 2 sectors aligned N and S Hiway 1. Antenna Height above ground ??? 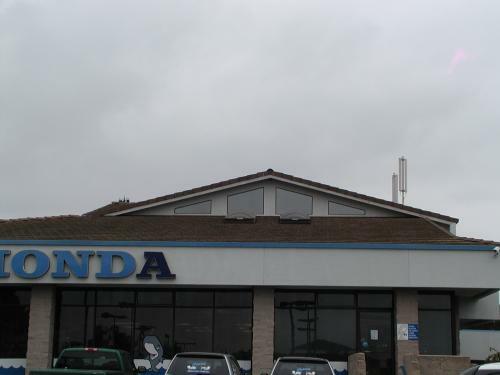 The Honda dealership near Highway 1 and 41'st Ave in Capitola has this Cingular site. 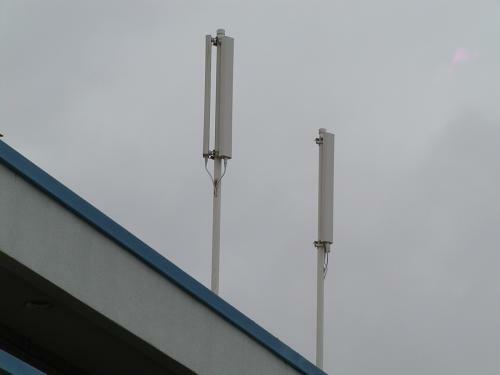 These antennas are the one's seen in the above picture on the right side of the building.. The equipment cabinets at SF-777. They can be seen in the driveway between the main building and the service department.